December 12 is the 346th day of the year in the Gregorian calendar. There are 19 days remaining until the end of the year. 1098 First Crusade: Siege of Ma'arrat al-Numan - Crusaders breach the town's walls and massacre about 20,000 inhabitants. After finding themselves with insufficient food, they reportedly resort to cannibalism. 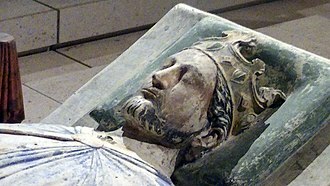 1189 King Richard I (1157–1199), “the Lion Hearted,” left England on the Third Crusade to retake Jerusalem, which fell to Muslim general Saladin in 1187. 1531 The Apparition of Our Lady of Guadalupe: Juan Diego Cuauhtlatoatzin saw the Blessed Virgin Mary outside of modern-day Mexico City. The Council of Trent meeting in Santa Maria Maggiore church, Trento (Trent). 1545 The Council of Trent opened. 1667 The Council of Moscow deposed Russian Orthodox Patriarch Nikon (1605–1681). 1781 American Revolutionary War: Second Battle of Ushant - A British fleet led by HMS Victory defeats a French fleet. 1787 Pennsylvania becomes the second state to ratify the United States Constitution, five days after Delaware became the first. 1808 The Bible Society of Philadelphia was organized, the first of its kind in America, with William White (1748–1836) elected its first president. 1862 USS Cairo sinks on the Yazoo River, becoming the first armored ship to be sunk by an electrically detonated mine. 1866 A meeting called by Charles Porterfield Krauth (1823–1883) for Lutherans who held to the Unaltered Augsburg Confession took place at Reading, Pennsylvania. Delegates from thirteen Lutheran synods were present. The meeting led to the formation of the General Council of the Lutheran Church in North America. 1870 Joseph H. Rainey of South Carolina becomes the second black U.S. congressman, the first being Hiram Revels. 1901 Guglielmo Marconi receives the first transatlantic radio signal (the letter "S" [***] in Morse Code), at Signal Hill in St John's, Newfoundland. 1911 King George V and Mary of Teck are enthroned as Emperor and Empress of India. 1915 President of the Republic of China, Yuan Shikai, announces his intention to reinstate the monarchy and proclaim himself Emperor of China. 1917 In Nebraska, Father Edward J. Flanagan founds Boys Town as a farm village for wayward boys. 1925 The Majlis of Iran votes to crown Reza Khan as the new Shah of Persia. 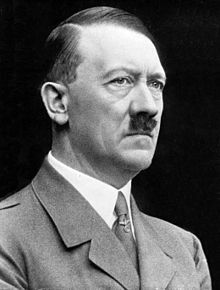 1935 Lebensborn Project, a Nazi (literally: "Fount of Life") was an SS-initiated, state-supported, registered association in Nazi Germany with the goal of raising the birth rate of "Aryan" children via extramarital relations of persons classified as "racially pure and healthy" based on Nazi racial hygiene and health ideology. Lebensborn encouraged anonymous births by unmarried women, and mediated adoption of these children by likewise "racially pure and healthy" parents, particularly SS-members and their families. Founded by Heinrich Himmler. 1936 Xi'an Incident: The Generalissimo of the Republic of China, Chiang Kai-shek, is kidnapped by Zhang Xueliang. Zhang Xueliang, occasionally called Peter Hsueh Liang Chang and nicknamed the "Young Marshal" (少帥), was the effective ruler of northeast China and much of northern China after the assassination of his father, Zhang Zuolin, by the Japanese on 4 June 1928. As an instigator of the Xi'an Incident, he spent over fifty years under house arrest and is regarded by the People's Republic of China as a patriotic hero. USS Panay sinking after Japanese air attack. Nanking, China. 12 December 1937. 1937 Second Sino-Japanese War: USS Panay incident - Japanese aircraft bomb and sink U.S. gunboat USS Panay on the Yangtze River in China. 1939 Winter War: Battle of Tolvajärvi - Finnish forces defeat those of the Soviet Union in their first major victory of the conflict. 1939 HMS Duchess sinks after a collision with HMS Barham off the coast of Scotland with the loss of 124 men. 1940 World War II: Approximately 70 people are killed in the Marples Hotel, Fitzalan Square, Sheffield, as a result of a German air raid. 1941 World War II: Fifty-four Japanese A6M Zero fighters raid Batangas Field, Philippines. Jesús Villamor and four Filipino fighter pilots fend them off; César Basa is killed. 1941 World War II: USMC F4F "Wildcats" sink the first 4 major Japanese ships off Wake Island. 1941 World War II: The United Kingdom declares war on Bulgaria. Hungary and Romania declare war on the United States. India declares war on Japan. 1942 World War II: German troops begin Operation Winter Storm, an attempt to relieve encircled Axis forces during the Battle of Stalingrad. 1942 A fire in the Knights of Columbus Hostel in St. John's, Newfoundland, kills 100 people. Memorial on the site of the Knights of Columbus Hostel fire, Harvey Road, St. John's. 1946 A fire at a New York City ice plant spreads to a nearby tenement, killing 37 people. 1950 Paula Ackerman, the first woman appointed to perform rabbinical functions in the United States, leads the congregation in her first services. 1958 Guinea joins the United Nations. 1963 Kenya gains its independence from the United Kingdom. 1964 Prime Minister Jomo Kenyatta becomes the first President of the Republic of Kenya. 1979 The unrecognised state of Zimbabwe Rhodesia returns to British control and resumes using the name Southern Rhodesia. Wreckage from Arrow Air Flight 1285 in storage at a Gander Airport hangar on December 16, 1985 for analysis by members of the Canadian Air Safety Board. 1985 Arrow Air Flight 1285 crashes after takeoff in Gander, Newfoundland, killing 256, including 236 members of the United States Army's 101st Airborne Division. 1988 The Clapham Junction rail crash kills thirty-five and injures hundreds after two collisions of three commuter trains—one of the worst train crashes in the United Kingdom. 1991 The Russian Federation gains independence from the USSR. 2000 The United States Supreme Court releases its decision in Bush v. Gore. 2012 North Korea successfully launches its first satellite, Kwangmyŏngsŏng-3 Unit 2, using a Unha-3 carrier rocket. Portrait of William Lloyd Garrison by Nathaniel Jocelyn, oil on panel, 1833, National Portrait Gallery, Washington, D.C.
1805 Frederick Henry Hedge, New England clergyman and hymnist, in Cambridge, Massachusetts, Unitarian minister and Transcendentalist. He was a founder of the Transcendental Club, originally called Hedge's Club, and active in the development of Transcendentalism. He was one of the foremost scholars of German literature in the United States. (d. 21 Aug 1890, Cambridge). 1900 D. (David) Elton Trueblood, American Quaker theologian, in Pleasantville, Iowa (d. 20 Dec 1994). 1600 John Craig, Scottish reformer (b. ca. 1512). He joined the Dominican order, but through reading the Institutes of John Calvin he adopted Protestantism. Imprisoned at Rome for heresy, he escaped (1559) and went to Vienna, where he preached before Archduke Maximilian. Returning to Scotland in 1560, he shortly became the colleague of John Knox in Edinburgh. Chaplain to James VI after 1579, he was the author of the King's Confession (1581), on which was based the National Covenant of 1638. 1922 John Wanamaker, United States soul-winning merchant, religious leader, civic and political figure, considered by some to be the father of modern advertising and a "pioneer in marketing. On March 12, 1888, fifty year old John Wanamaker laboriously hand-copied letters to each member of his large Sunday School class--a Sunday school which he had founded. The central thought of the letter was, "If you are not saved my dear friend--flee to the merciful Savior, as you would fly, into this warm room tonight out of the cold streets & the drifting snow. -- If you are saved -- humbly trusting in what Jesus did when his loved failed not on the Cross -- think of others not saved -- NOT SAVED -- going to the eternal darkness -- your near friend, your relative -- and do something!" All of his life, John Wanamaker did something--not only toward converting people but in making American business what it became. A Presbyterian, he was a strong advocate of the YMCA in the years when its chief concern was to convert men to Christ. He was so successful in promoting the organization that its backers named him national secretary. But John married and had to find work that would support his family. A go-getter (he took his first job as an errand boy at age thirteen for the salary of $1.25 a week) John and a partner bought a men's clothing business. With a flair for big projects, John bought an abandoned rail depot and tried to coax other merchants to open shops in the building. When he couldn't persuade others to take the risk, he set up his own shops, creating one of the first successful department stores in the nation. His building even had a wireless telegraph--and consequently was the first station in the United States to learn of the sinking of the Titanic. John was a leader in advertising, in money-back guarantees and in offering his employees benefits such as pensions, life insurance, and vacations. His New York store was the first to display electric Christmas lights. Through it all, John's concern for souls continued. During the Civil War, he was a strong supporter of the United States Civil Commission, an agency which brought medical and spiritual comfort to soldiers. He gave enormous sums to charities, such as the Children's Wing of Philadelphia's Presbyterian hospital. He devoted Sundays to religious work. "If you once have the joy and sweet pleasure of bringing one soul to Christ, you will be hungry to get another," he said. Asked in an interview how he managed to carry the load of his many tasks (which, in addition to everything else, included a strong commitment to Masonry), John replied, "When I weary of one detail, I turn to another, and there is rest of mind in that." He advised, "Do the very best you can and leave the rest to Providence." As a soul-winner, he believed he did not have to work alone. "When you have faith enough & love enough to start out in the effort to bring a soul to the Savior -- God the Holy Ghost joins in your effort, for God wants every one saved & He works with even the poorest instrument that engages in His work." 1951 Mildred Bailey (born Mildred Rinker; February 27, 1903 – December 12, 1951) popular and influential Native American jazz singer during the 1930s, known as "The Queen of Swing", "The Rockin' Chair Lady" and "Mrs. Swing". Some of her best-known hits are "It's So Peaceful in the Country", "Trust in Me", "Where Are You? ", "I Let a Song Go Out of My Heart", "Small Fry", "Please Be Kind", "Darn That Dream", "Rockin' Chair", "Blame It on My Last Affair", and "Says My Heart". She had three singles that made number one on the popular charts. She grew up on the Coeur d'Alene Reservation in Idaho, where her mother was an enrolled member. The family moved to Spokane, Washington when she was 13. Her younger brothers also became musicians, with her brother Al Rinker starting to perform as a singer with Bing Crosby in Spokane and eventually becoming famous as a member of The Rhythm Boys. Charles Rinker became a lyricist, and Miles Rinker was a clarinet and saxophone player who later became a booking agent. 1973 Gustaf Axel Aho, hymn translator and president of the Finnish American Evangelical Lutheran National Church, (b. 9 Oct 1897).